Hear me out, hear me out. I had never had Brussels sprouts until a few years ago. I got some in my Bountiful Basket (a food co-op thing). 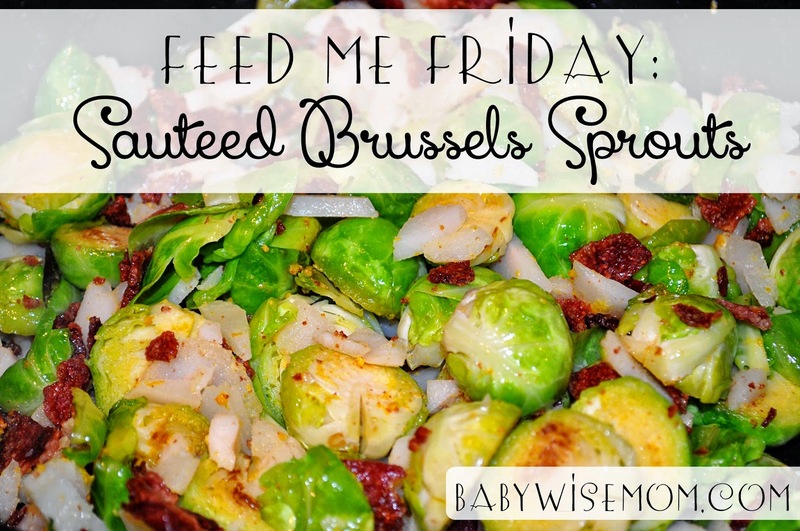 My friend and fellow Babywise mom Brooke had this recipe. She hadn’t ever tried it, but I thought I would try it out. Seriously. Looking at this picture literally makes my mouth water. Two key ingredients here are bacon and orange zest. Seriously–try it. If you haven’t had Brussels Sprouts, they are a similar taste and texture as cabbage. Dice the smoked bacon and fry it for 2-3 minutes until it turns golden brown. I use the pre-cooked bags of bacon you can buy at Sam’s Club, so I don’t cook it. I just add it in. Rinse the Brussels sprouts, trim them if necessary, and cut in half. Wash any wax off the orange and grate the rind into the frying pan (this is orange zest) with the bacon and add the butter, mustard, and sprouts. Cook over a moderate heat for 5 minutes, stirring, until the sprouts are crisp. Meanwhile, drain and roughly chop the water chestnuts, stir them into the spouts, and cook them for 3-4 minutes until the sprouts are golden and the chestnuts are heated through. Add salt and black pepper to taste and serve.